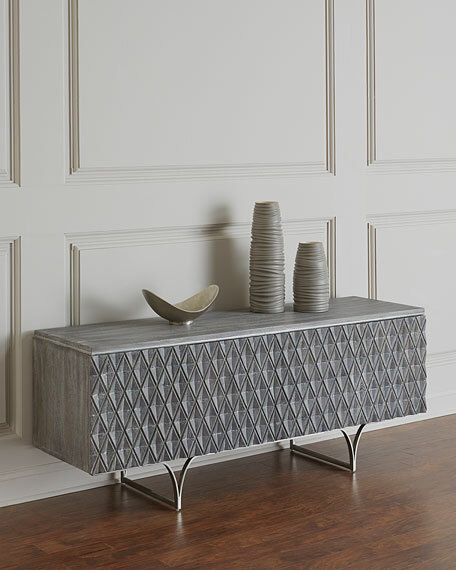 Precisely hewn diamond pattern is carved into the front and side panels. 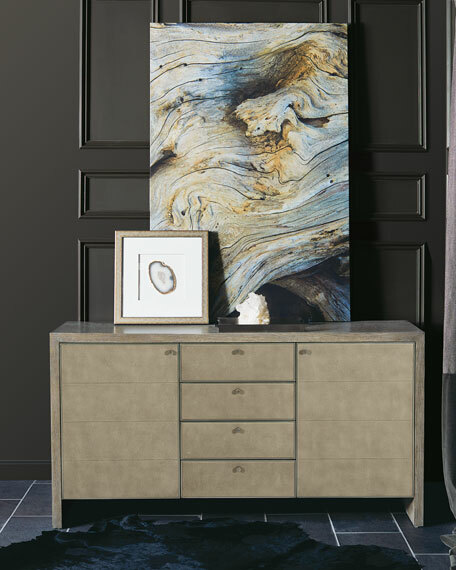 Antiqued grey finish on the multidimensional mango wood surfaces enhances the grain of the wood. Touch latches on four cabinet doors. 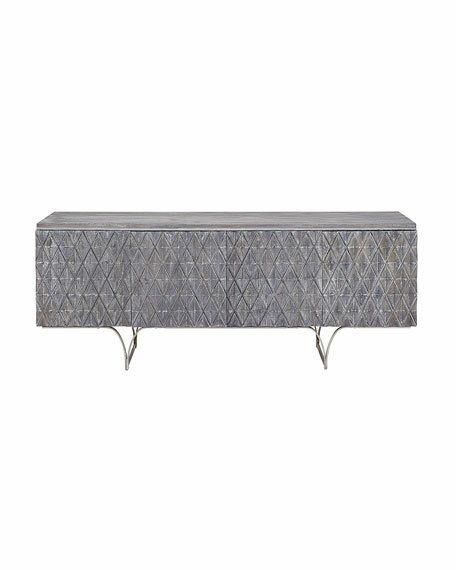 Uniquely shaped brushed matte nickel steel legs repeat the diamond pattern of the cabinet. Brushed matte nickel trim is inlaid between the top surface and cabinetry. 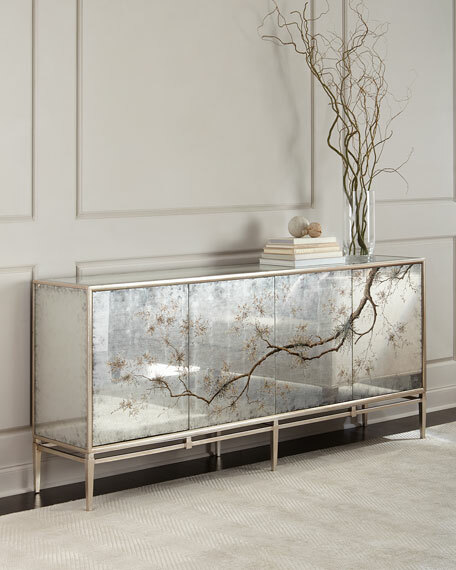 Handcrafted entertainment console with stainless steel frame. 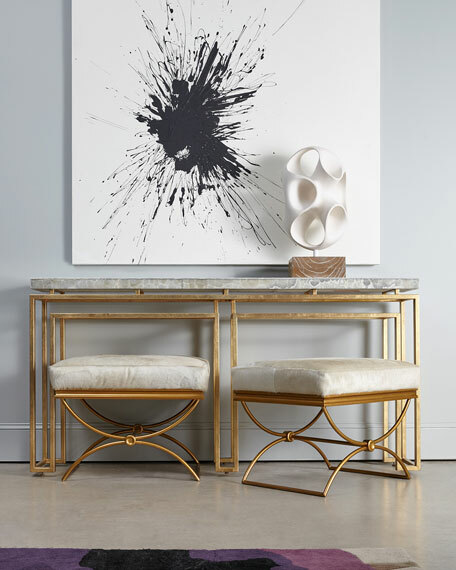 71.5"W x 20"D x 28.5"T.
One adjustable shelf in each section. Pass through conduits allow for easy cable access to electronic components. Grommet hole at center back bottom of each compartment. Boxed weight, approximately 235 lbs. 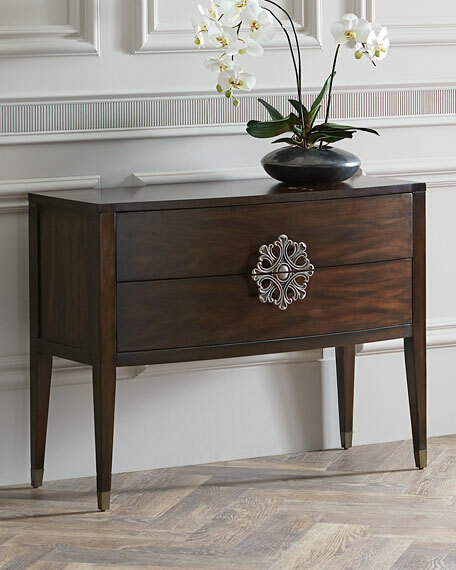 Handcrafted console.44"W x 18"D x 34"T.Two drawers with contrasting wallpaper treatment on inside of drawers.Jewelry-style hardware; metal-capped feet.Hardwood solids and walnut veneers.Imported.Boxed weight, approximately 117 lbs.